We’ve covered guest posting as a way for new bloggers to get visitors to their site but it can also be just as important in your process to rank an article in the top of search results on Google. 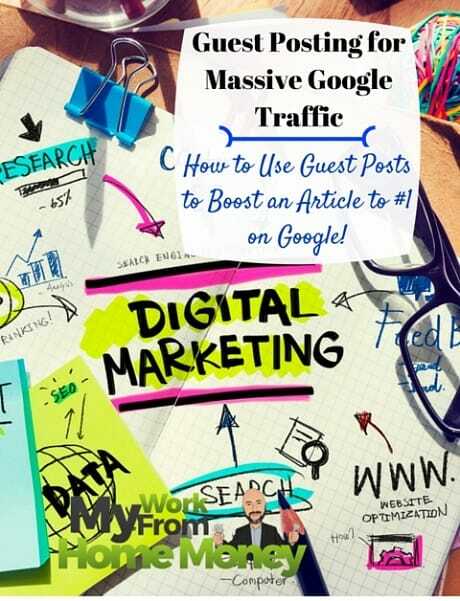 Guest posting is a key piece of my overall SEO strategy to boost search traffic to my blogs. 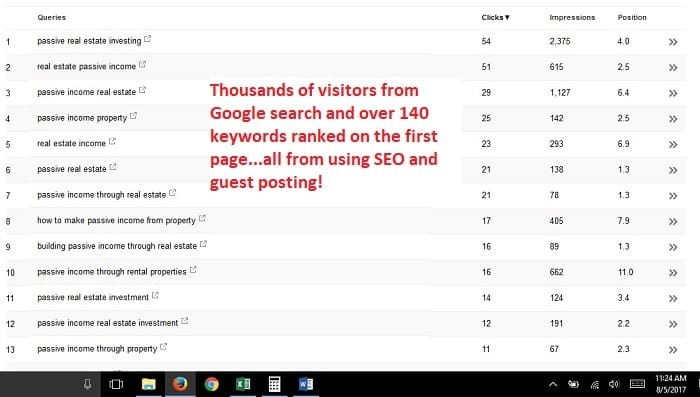 On one article, I used guest posting to promote the post and now get thousands of search visitors a month. I rank the post for more than 140 different keywords on the first page of Google alone. Those thousands of visitors aren’t just random traffic. It’s targeted traffic to an affiliate advertiser and the post produces an average $1,500 a month! Like most of the most effective SEO strategies I cover on the blog, guest posting isn’t and easy or quick process. It will take a few hours in outreach to other bloggers and then a couple of hours to write up each post but the effect on your blog traffic is so worth it. Using guest posts to rank an article is one of the last strategies I use to really boost an article higher on Google. It takes time to write up quality guest posts so you only want to use them for articles that are already showing signs of life in search rankings and could be huge traffic sources with a little extra push. I’m sharing this chapter from Google SEO for Bloggers, a step-by-step into the process I used to rank over 1,700 keywords on the first page of Google. This SEO process was critical in doubling my monthly blogging income last year to $5,000+ a month. I’ve added more details and SEO strategies in the book for a simple process you can use to get the Google love you deserve. Learn how to get targeted traffic every month! 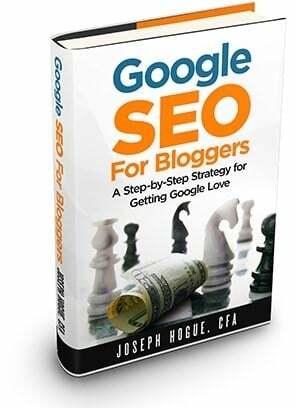 Get Google SEO for Bloggers on Kindle, Paperback or Audiobook. Guest posting will follow nearly everything else in your blog SEO strategies. Each article starts with a good on-page SEO strategy. You should share out all your articles across social networks like Facebook, Twitter and Pinterest and go back through your blog to link old posts to new ones where it’s relevant. After a month, old posts should start emerging as candidates for more SEO work. These are the posts that start showing up on your Google analytics without any extra promotion. You’ll get a good idea of the keywords for which you’re ranking by looking at your Google Webmaster search results. Why wait to take the time to boost old posts with your full search engine optimization strategy? Only a small percentage of your posts are going to bring any traffic to your blog. I get 62% of my visitors from just ten posts, that’s about 5% of the articles on my blog. I could take the time to boost other posts but it might not do any good. The top ten search results, the first page on Google, gets more than 90% of search traffic. A good keyword research strategy will help you find keywords for which you have a chance of ranking on the first page of Google but you’ll still have articles that just aren’t going to make it. That means you need to be working on articles that are the most likely to get into the top ten and stay there. 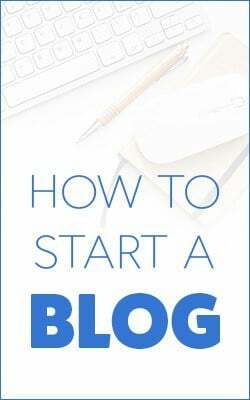 If you’ve read our resource guide on starting a blog to make money, you know that guest posts are articles you write for another blog and include a link to your website. That link will drive traffic to your blog and help to boost your general SEO ranking. Guest posting can give you the opportunity to get those posts in the top ten but it takes time and has some limitations. Guest posting is a slow process, reaching out to other bloggers individually and writing up each article. It’s extremely effective for boosting your Google ranking but isn’t something you want to do on each article you write. That’s why you want to wait and only use the strategy on your best posts. Using guest posting for SEO on individual posts means including a link within the article as well. These in-content links on a keyword phrase carry even more SEO power because they’re targeted by keyword to a specific post and they appear higher up on the page. This is important because most bloggers make the mistake of just including a link to their homepage in a bio section at the end of the article. There are two problems with this when it comes to SEO. Google ranks pages, not websites. A link to your homepage is ok but you want to build the search rankings to individual pages and posts. Any link is going to give you SEO juice to your site, you also want that juice to be going to separate pages. The other problem, as mentioned above, is that in-content links carry a lot more SEO power. In fact, the SEO authority for links diminishes the further down you go on a page and the more links are placed above. Want to avoid more of the biggest blogging mistakes? 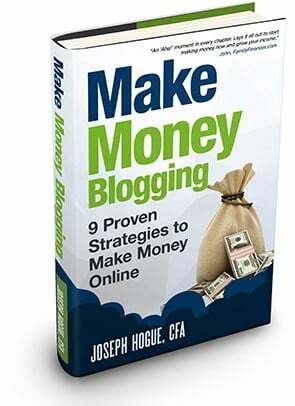 Check out this super-resource for the 57 biggest blogger mistakes and how to build a six-figure website from scratch. Not all bloggers will allow an in-content link but many will if it is to a post that includes important information about the article’s topic. That your most important articles should have some important (link-worthy) data or information is a given so this shouldn’t be too much of a problem. When you’re reaching out to bloggers to provide a guest post, something we’ll talk about more later, propose at least two or three topic ideas that fit with their audience. Since you control these topic ideas, you can pick ones that will relate naturally to an article you want to promote and you’ll be able to include your reference link in the content. So most bloggers just blast out an email to every blogger address they have, asking for a guest post on the site. That’s going to get you a guest post on about one-in-ten blogs, tops. To really get your posts on as many blogs as possible, you need to develop a relationship with bloggers first. They need to know that you’re not just another commercial blog, spamming out emails. Take a month to put together a list of blogs on which you want to post, legit blogs with strong domain authority. Follow their blog, share on social media and leave legitimate comments on their articles. And for cryin’ out loud, read their guest post policy. While you’re on their site, check out a few guest posts to see if they allow in-content links and if all links are dofollow by right-clicking on the link and select Inspect Element (Q). Any link marked ‘nofollow’ will be worthless for SEO value. After following them for a month, reaching out to the bloggers on your list will be the easy part. Send a short email like the template above. Describe your blog in one sentence, something so they know it’s a blog and not a commercial website. Acknowledge their guest post rules by pointing out that your post will be a certain length, original content and any other requirements. Propose three topics for your post to give them a choice. 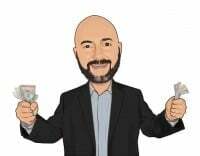 This process will get you a much better response rate, about one-in-four from my experience and really get your links out there. You’ll get an idea from your keyword research process how difficult it is to rank a post and its target keywords. It’s going to take at least five inbound links to really rank some competitive keywords so plan on writing at least five guest posts to boost your target articles. That’s a point that even bloggers that use guest posting don’t understand. You can’t simply write one guest post promoting each of your articles and hope to start getting thousands of Google search visitors. It takes multiple links to start ranking an article. 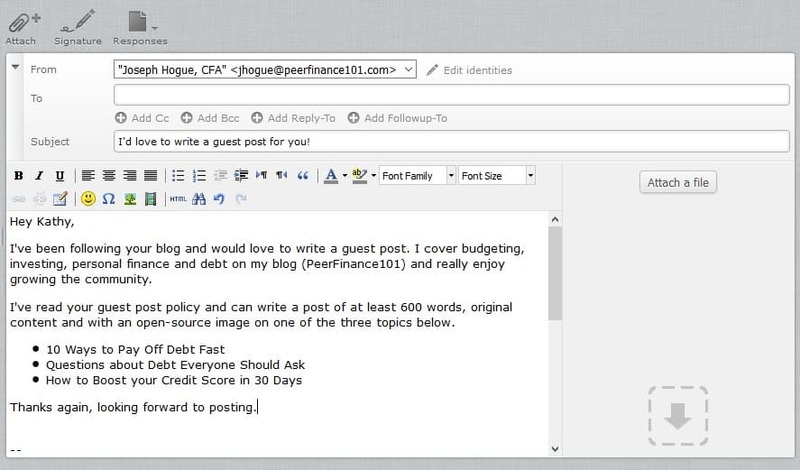 Choose just a few of your articles to promote and write multiple guest posts for each. Once you’ve been approved for a guest post on a blog, quality counts! You may want to write more guest posts for this blogger in the future so don’t burn your bridges with crappy content. Of course, it goes without saying that you should stick religiously to the blogger’s guest post policy as you’re writing. The three topics you proposed in your outreach email should be related in some way to the post you want to boost, some way that you can refer to the post within the content. Consider alternating the keyword phrase you use for the in-content link to your target post. If Google sees many inbound links to the same post using the same keywords linked, it may devalue the links because they appear spammy. Instead, have about three or four keyword phrases for which you think the post can rank. You can get these from your Google Webmaster search results. If the post is already ranking, you should be able to tell the keywords for which it is ranking. All these keyword phrases are going to be similar so getting links for each will help your overall ranking for a larger theme. When you’re emailing the post to the blogger, be sure to ask for an email when the post is live so you can share out on your social networks. Reaching your social network is half the benefit for the other investor and will help you get another guest post in the future. Finally, when the post is live, check to make sure your link is still included and that it’s a dofollow link. The blogger may remove it or mark it nofollow but there’s really nothing you can do about it. Just keep track of which blogs offer the opportunity for in-content links in the future. Ranking a single article high on Google isn’t an easy task, especially for some of your money-making, competitive keywords but it can be done. The trick is to follow an SEO ranking process that builds off-page inbound links to your strongest on-page SEO articles. Guest posting can be a great boost to search rankings and some of your strongest inbound links. I have to say, I’ve been trying to absorb all I can as a first-time blogger (I’ve sent up my domain, email, etc) but have yet to publish my first post. My anonymous blog will be personal stories which (hopefully) shows triumph over tragedy. My aim is to reach those who struggle as well and hopefully become stronger and healthier. But after reading through Guest Posting for Massive SEO Traffic, I’m more lost than ever. Am I over my head?